"Fitness" is a word that gets thrown around a lot, but what does it really mean? The dictionary definition is, "the quality of being suitable to fulfill a particular role or task," or "an organism's ability to survive and reproduce in a particular environment". We like to think of it it as the ability to do what you want without physical, mental, or emotional limitations. How would you rank your fitness right now? Do you "survive" in your environment well or are you constantly fatigued, lethargic, overworked, and out of breath? Can you honestly say that you have what it takes to do the physical things that make you happy? That can be as simple as chasing after your nephew in a game of tag without needing too many breaks or as demanding as shaving time off your marathon. The human body is simply amazing in its capabilities, and if you have any doubt about that, just look at Young Living Brand Ambassador James Lawrence and Young Living founder Gary Young. James, the "Iron Cowboy," completed 50 Ironman triathalons in 50 states in 50 days; that's a 2.4-mile swim, a 112-mile bike ride, and a full marathon a day for over a month plus the strain of travel! Gary Young recently passed away after a very full life of constantly pushing himself, continuing his hobby of jousting into his 60's and finishing a 200-mile dog sled race just last year. If they can accomplish these amazing feats, what's stopping you from reaching your fitness goals? Another key to exercising is balancing it with nutrition. Exercise involves breaking down muscle tissue to make it stronger, but if you don't have the nutrient building blocks to build it up again, you're just breaking it down for no reason. Choose healthful foods and eat a balanced diet, supplementing as needed. James Lawrence used Young Living's protein powder and bars through his races and Gary Young used quite a few of his company's products as well. 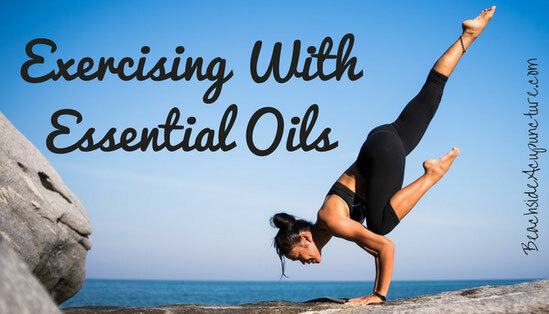 Outside of food products, Young Living also has oil-infused supplements like AgilEase and PowerGize that were designed to help strengthen the body, and a personal favorites is AminoWise because it's specifically for helping the muscles rebuild after exercise. 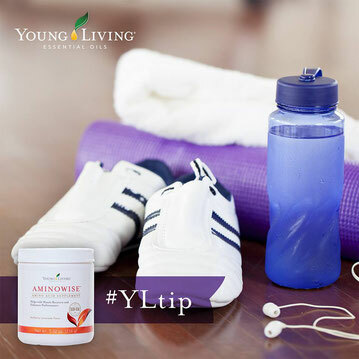 Young Living also offers a line of products called Slique that support healthy weight loss. While we see fitness as the goal and weight changes as a welcome side effect to that, your goal may be just to lose weight...and feeling better will just be icing on the (organic, whole-food) cake! The Slique line contains gum, tea, bars, and other products that use essential oils to boost metabolism and help control cravings and can make an excellent addition to your new fitness routine. Young Living even suggests Slique Challenges, and some of its members have had great success with it! Do plenty of research before starting a new routine, but also don't procrastinate! Setting a goal to run a 5K might require a doctor's checkup and a training plan, but nothing's stopping you from taking a 10-minute walk around your block right now. Sometimes we get the idea that a workout has to involve hitting the gym, recording mileage, or other intense activities, but that's not true at all. Playing with your kids, using the stairs at work, and taking your dog on a long walk can all build strength and endurance as well. Do what feels comfortable to you, be smart and safe, and don't be afraid to dream big.